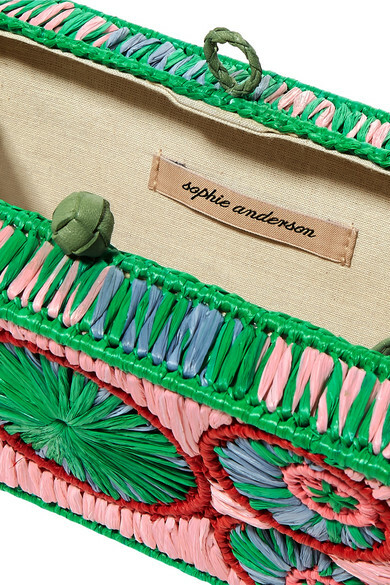 Sophie Anderson's designs are always so colorful and beautifully made. 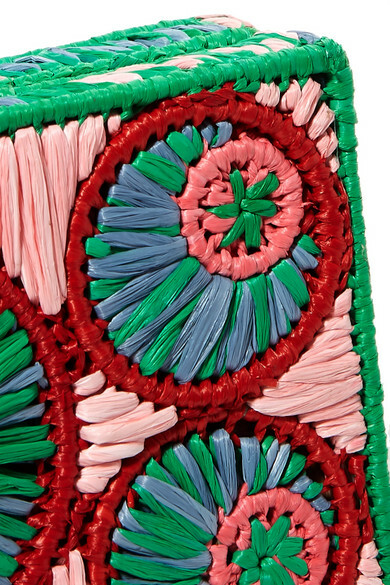 This 'Mia' belt bag is woven from red, green, pink and sky-blue raffia that's braided to form a circular pattern. 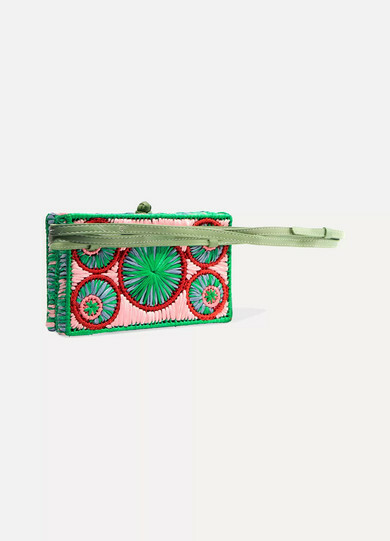 Wear it over a floaty sundress or detach the leather strap completely and carry it as a clutch. 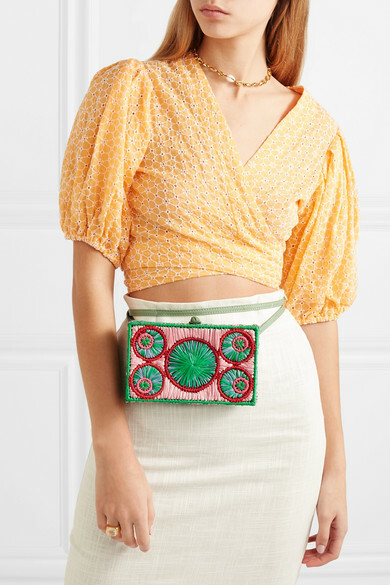 Shown here with: STAUD Skirt, Lisa Marie Fernandez Top, ATP Atelier Sandals, 1064 Studio Ring, Paola Vilas Ring, Tohum Necklace.